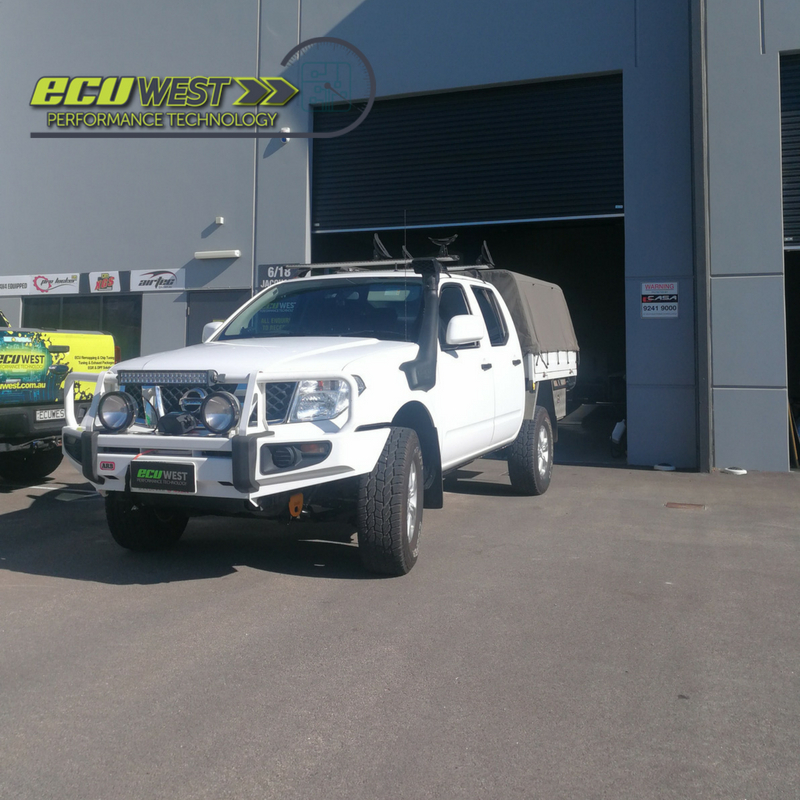 With ECUWEST’s YD25 Nissan Navara ECU Remapping you can expect awesome gains of 20% and 20% respectively in Power & Torque at the rear wheels. The remap can also enhance the operation of the Automatic Transmission where relevant. We supply, fit and recommend a replacement heavy duty clutch for manual applications. A Manta 3″ Exhaust assists in creating more power and sounds great. We also recommend, supply and fit Fuel Pre-Filters and Oil Catch Cans for these vehicles. Ask about our In Situ Motorvac EGR & Inlet Manifold Carbon Cleaning Services. Our Nissan Navara ECU Remapping also improves drive-ability and economy. The process requires the vehicle to be at our workshop (Or your closest ECUWEST dealer) for just the day. 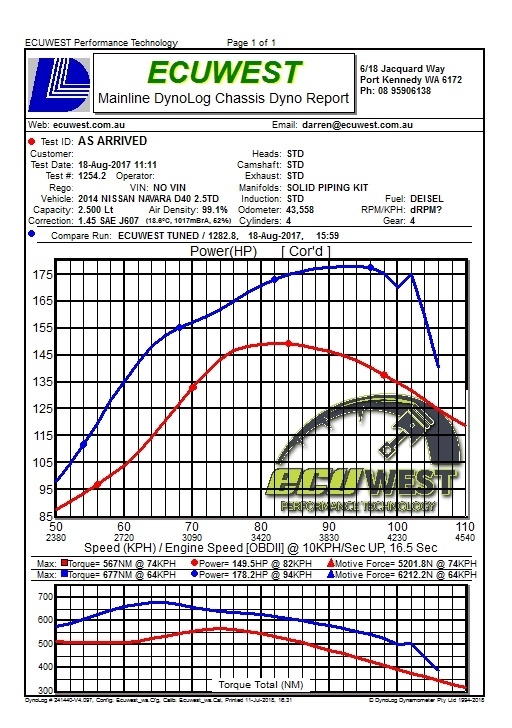 Our specialist tuners set the vehicle up on our All Wheel Dyno for a baseline dyno run. We then through our iterative tuning process, tune and revise the tune until it perfectly suits your car and its modifications. All this is done to a safe industry standard ensuring maximum reliability and longevity.